SpiritLed Woman online, like its print counterpart, focuses on empowering and equipping women for the Spirit-led life. Three times a day, we post brief (300-800 word) articles, often pulling content from blogs. We're a nonpaying market but via the strength of both our brand and our targeted social media posts, we generate a large number of reads, likes and shares. 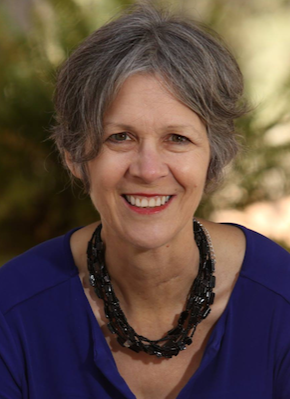 Please come talk to Marti Pieper, editor, about expanding your platform by writing for SLW. Marti Pieper’s passion to read, write, and pray makes her life an adventure. Her eclectic writing career includes volunteering to ghostwrite a young adult memoir that eventually made the ECPA best-seller list and traveling to six Latin American countries on various writing adventures. Today, Marti continues to use her gifts as author, collaborative writer, editor, and conference speaker. Out of the Dust: Story of an Unlikely Missionary, the most recent of her eight nonfiction books, received AWSA’s Golden Scroll Nonfiction Merit Award and was a Selah finalist. Marti is wife to worship pastor Tom, mom to five adult children and grandma to the world’s cutest toddler. Find Marti at www.martipieper.com or in her day job as copy editor/assistant online editor at Charisma Media in Lake Mary, Florida. Marti shares from her writing and editing experience in this seminar geared toward those who long to reach the elusive teen and young adult market. The seminar presents positive encouragement and practical tips to help you eliminate common errors before they reach an editor’s desk. Through personal stories and practical examples, you’ll learn to add strength and purpose to your teen and young adult writing. The companion handout includes a current list of potential markets and resources for those interested in writing for the next generation.